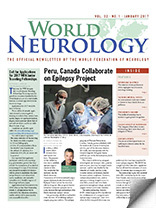 A group of two U.S. neurologists (Eva Feldman and James Russell) and two European neurologists (Wolfgang Grisold and Wolfgang Löscher) co-wrote the second edition of the Atlas on Neuromuscular Disease, which was published by Springer in 2014. Recently, further international collaboration has led to the publication of a Russian translation of the Atlas. The editors of the Russian version are Professor Alla Guekht and Professor Alexander Sanadze, from Moscow. 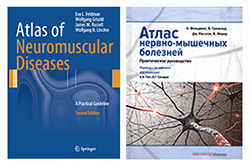 The Russian version has been dedicated to the late Professor Boris Guekht, who was the leading Russian specialist in neuromuscular diseases. The authors of the Atlas feel that this is a most useful and practical way for international cooperation, and sincerely thank Professor Guekht for her excellent initiative.